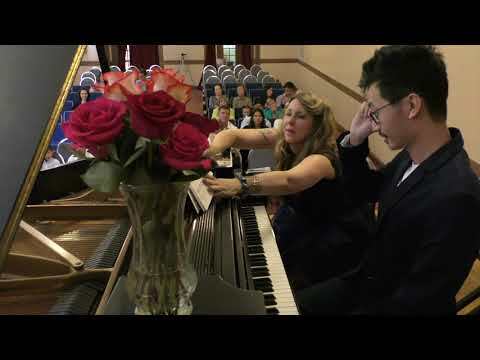 I am a highly trained pianist/composer with a BA in classical piano performance offering customized lessons in classical, popular, theory, composition/arrangement, and songwriting at all skill levels up to advanced level. My combination of teaching experience (over 20 years both individually and at the college level), knowledge of learning styles and pedagogy as well as music history and performance experience (over 30 years) allow me to provide highly enjoyable lessons. Students progress rapidly with me and also really enjoy learning as I tailor each lesson to best fit their strengths. I teach theory, technique, sight-reading, repertoire, and music history, provide 2 recitals annually at a fancy recital hall with a concert Steinway grand, and also teach songwriting/arranging/composition with Garageband and soon ProTools. Toby delivers an exceptional lesson experience and ranks in the top 15% of our teachers nationwide. At a young age, I was earning scholarships and entry to competitive piano master classes; I then earned a BA in classical piano performance. Due to my many years of both individual private piano and university teaching, I am able to customize lessons to best fit each unique individual and use my knowledge of theory and music history to make each lesson exciting and enjoyable. Berklee is considered the best music college in the US for the study of popular music, composition, and songwriting. 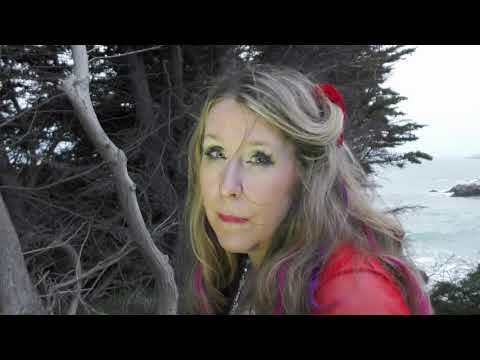 One of my original compositions from my Katt Storm YouTube Music Channel. 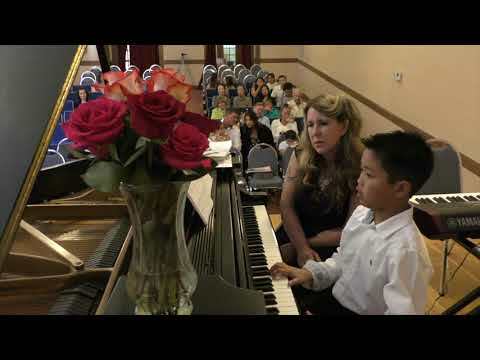 One of my students and I.
Matoush Melodies Piano Instruction student playing original composition at 2017 Annual Fall Recital. Matoush Melodies Fall 2017 Recital student performing her original composition. Matoush Melodies Fall 2017 Recital adult student performing. 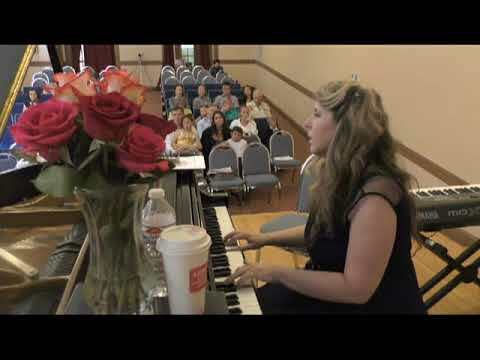 A video of me performing one of my original compositions (I Broke Your Heart in June) at the Fall 2017 Matoush Melodies Recital. I am a working adult who always wanted to play piano. I am so glad to have found Toby. She has a great zeal and passion for piano! She is extremely talented and an amazing teacher. She is very attentive and focuses on both piano playing and the theory behind it which makes it so much easier to understand the intricacies. She gives her all to her students! She lets me learn at my own pace while at the same time pushes me to become better! She is helping me learn not only the classics but also the new pop songs that I wish to play! She is very considerate and focuses on the overall development. I have been learning for 3 months now and I have already played a small piece in the annual recital! I could not have been more happy with my progress! I am extremely thankful to her and am going to continue learning from her! Toby is an amazing professional and an excellent teacher. 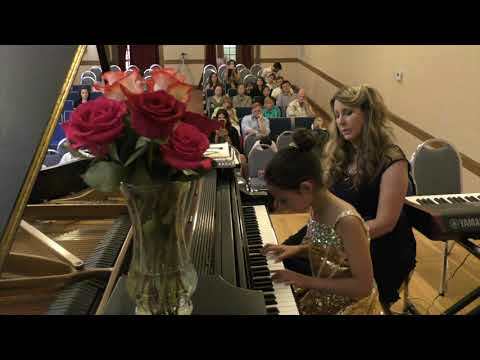 She focuses on learning the technicalities which makes it easier to understand the complex nature of piano. I have had very good experience with her through and through. My two daughters who are at intermediate level have been with Toby for half a year now, and all of us are very happy with her. When we decided to switch to her we were looking for someone with different teaching style than our previous teacher. We do want someone who not only has formal training in classical, but also is well-versed in more modern music (rock, pop, etc). I also want someone who can explain and communicate well with children, is patient, encouraging and most importantly can inspire the students. So far Toby has met my expectations. After switching to her, my children have started to actually enjoy playing after all these years. They are now learning both classical and popular. Toby always encourages them to play with passion. I can see that they're improving both technically and musically. Toby gives her student 100% during the lesson. She also likes to share some insights related to the piece of music or the composer which I appreciate. I highly recommend her. I really could not recommend Samantha more highly. I am SO lucky I found her! The value for the lessons is awesome. She is extremely well-trained and well-educated. To be honest, I wondered what I would get because some teachers charged more and as a student I really couldn’t afford more. A lot of teachers don’t actually teach proper technique. I love knowing that I’m learning to play properly, and that I learn some theory along the way. She’s also really encouraging and the way she tunes into what you like is a special gift she has as a teacher. She finds what you like and what you’re good at and capitalizes on it so you’re always enjoying yourself, being challenged, and feel motivated. I’m learning as an adult and I love the book she decided to use also. Samantha is also flexible and responsive to texts. Another thing I really like about her is that she writes up your “homework” for the week, with specific things to work on. Again, I really just can’t believe the value I get. I will be with Samantha for a long time.